2015 marks our 25th year anniversary in the business. Highly motivated & trophy conscious guides. Opportunities for rifle, muzzleloader and archery hunting. Specialize in managing free range trophy whitetails. High percentage of color phase black bears. 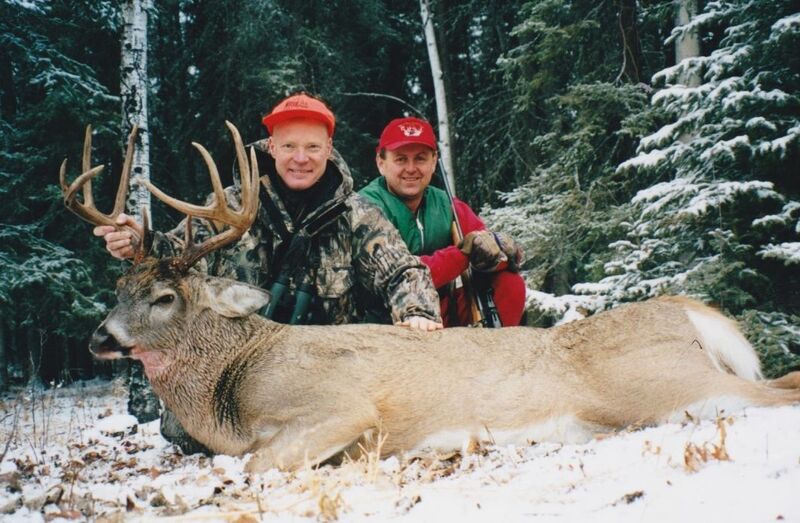 Western Canada is the Promised Land for big whitetails…but it ain’t easy! I saw more deer (and more bucks) hunting with Great Grey in western Saskatchewan than in four other Canadian whitetail hunts combined. I would never tell anyone that it’s a sure thing—big whitetail are never a sure thing—but Great Grey has awesome country that they’ve managed and hunted for many years. Claude Juteau runs a fine, comfortable camp with great food and friendly folks. The hunting is cold, and you want it to be cold…but the camp is a warm and pleasant place to come back to! The big-bodied, heavy-racked northern bucks are there, and he knows how to hunt them. It might happen on the first day…or on the last…but if you pay attention you should get a chance!